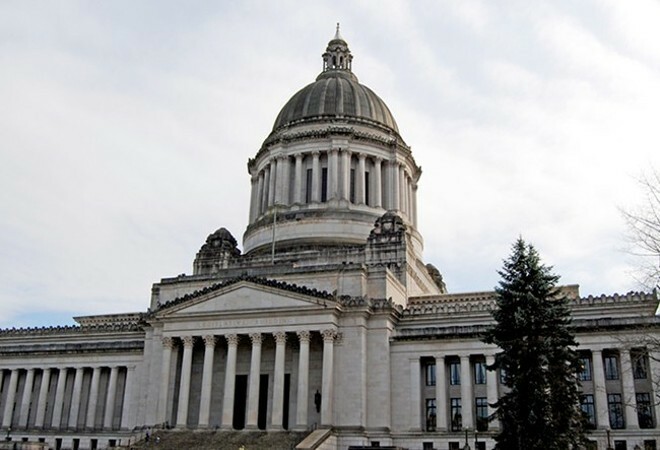 The last time the Washington lawmakers tried to rework the public records rules, attempting to codify special exemptions for the Legislature, their bill ended up sparking numerous newspapers to take out furious front-page editorials. The outcry grew so loud that Gov. Jay Inslee ultimately vetoed it. A year later, the Legislature is ready to try again with a new bill, sponsored by state Sen. Jamie Pedersen, D-Seattle. "Sen. Pederson has dropped this bill as a starting place for a discussion about how we can make the Legislature more transparent," says Sen. Majority Leader Andy Billig, D-Spokane, a co-sponsor. Billig notes a number of changes to this latest bill that would please the media outlets that condemned last year's version. The bill firmly establishes that the public records act applies to the Legislature. It allows people to take the Legislature to court for disagreements. And in a major concession from the Legislature, it would reply retroactively: Journalists would be able to, say, get old emails from Rep. Matt Shea sent before the bill was passed. Yet the Washington Coalition for Open Government opposes the latest version, mostly because of some major exceptions the Legislature has carved out for state lawmakers: For example, unlike with a City Council, drafts of bills, memos, proposals, counter-offers, whip counts and internal communications in the Legislature would be permanently kept secret. Legislators argue that being able to negotiate in secret is crucial to be able to come to a compromise. "How are we supposed to know as voters if our state legislators are making good choices, if we can't even see what the choices are that they considered?" says Washington Coalition for Open Government President Toby Nixon. Another part of the bill would allow legislators to redact almost all the identifying constituent information in their correspondence, including names. While those exceptions wouldn't apply to official lobbyists, Nixon says, they still would allow, say, a Boeing executive to lobby for tax cuts while keeping their identity hidden. The bill will go before the Senate's state government committee next week. "It may or may not move forward depending on the reaction," Billig says. The original print version of this article was headlined "Broken Records"